Recently, KTC launched new products of pad series and became part of our flat panel display terminal family. For the past few years, the demand of pad market increased rapidly. Owning a pad becomes fashion. According to the prediction of IDC, a famous market research institution: the global market sales volume in 2012 will reach 117.1 million; in the year 2013, this amount will increase to 165.9 million; and in 2016, this amount will be 261.4 million. In domestic market, there are about 10 million domestic products in 2012, twice as the amount, 4.5 million of 2011. From the share of market, Apple, Lenovo, Eben, and Samsung range in top 4. Especially Apple, it takes 70% of market share, and other brands have relatively smaller shares. However, from the first three seasons, the market share of Apple begins to decline, which means that the “monopoly” market will be changed gradually and there is much upside potential for other brands. Therefore, after evaluating the market and our own advantages, KTC decided to enter the field of pad manufacturing. After one-year research&development and test, we launched pad in Oct. 2012. Technically speaking, there are Allwinner, NVIDIA, Rockchips and any other domestic mainstream chip schemes. And we adopted the latest RK3066 scheme of Rockchips which is designed for mobile internet. It is based on a mixed analog-digital SOC chip of Cortex-A1, with high-performance and low power consumption; it can support 1080P video and coding, super strong 3D/2D acceleration and speed web surfing. It is one of the highest cost performance schemes at present. For now, we launched 3 specifications products, including 7-inch, 9.7-inch and 10.1-inch. 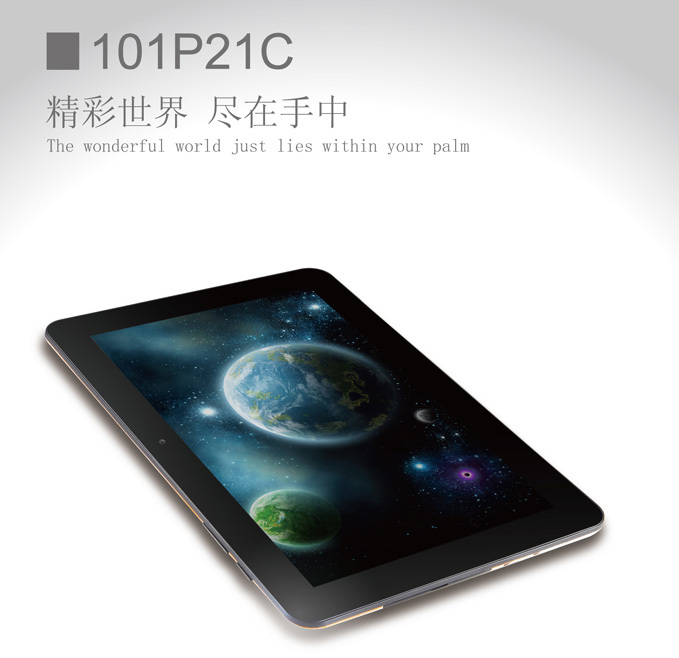 The newly-launched 7-inch and 10.1-inch products are named respectively: 700P11A(Light and thin technology accompanies you), 700P21A(Fashionable quality and extraordinary flavor) and 101P11C(Entertainment inclusive), 101P21C(The wonderful world just lies within your palm), and the name of 9.7-inch is 970P11B(Modern technology provides infinite entertainment). 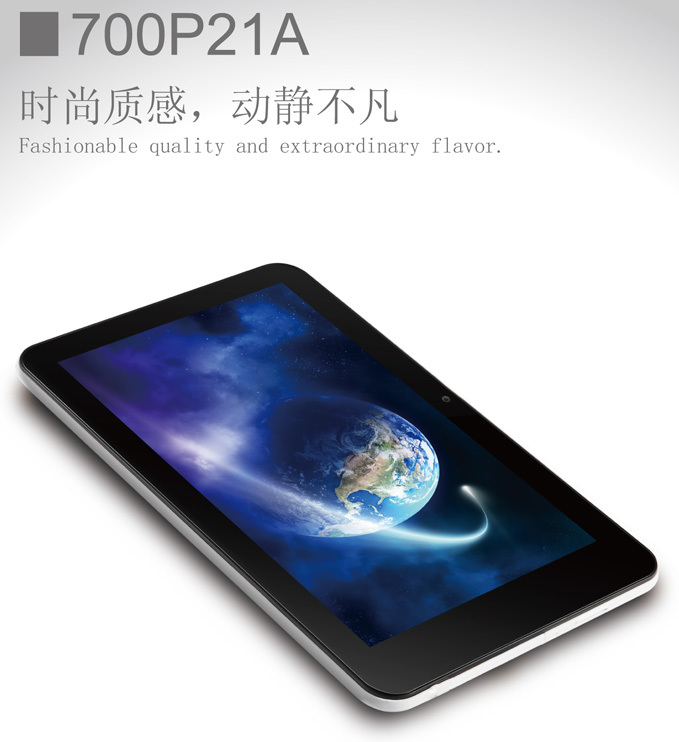 Except for 700P11A, other products are equipped with IPS wide viewing angle HD panel, built-in high speed dual-core processor and support popular Android 4.0 or higher operating system. Among these models, 7-inch specifications support 5-point touch, with 300 hundred pixel front camera and 2 million pixel back camera. ; both 9.7 and 10.1-inch models support 10-point touch and 2 million pixel front and back cameras. 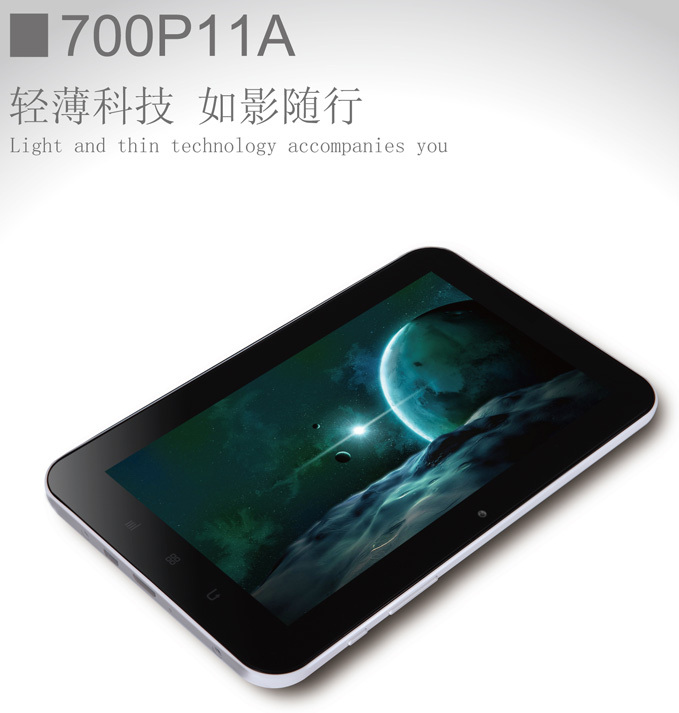 These three series have their own features: 7-inch series(700P11A, 700P21A) is designed for the bussiness market. 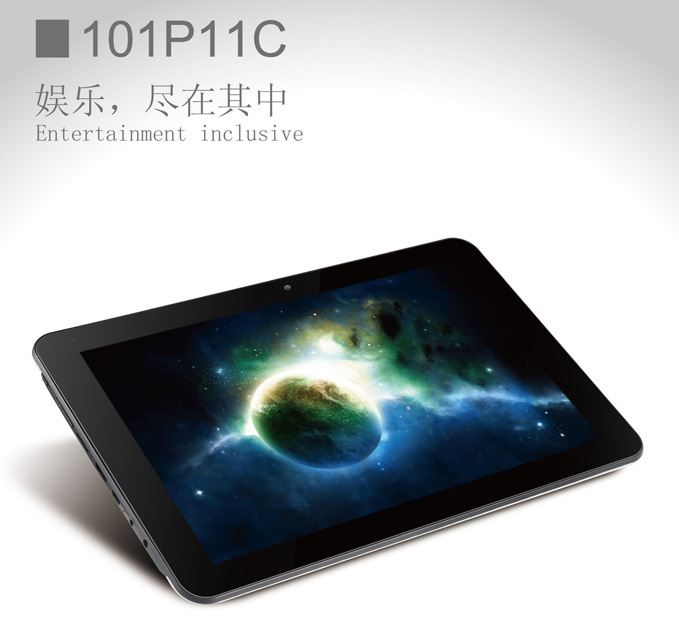 Its balanced and strong performance conquer many fashionable pad player; 10.1-inch series(101P11C, 101P21C) mainly focuses on HD panel and all-around functions which can bring users fabulous video performance. 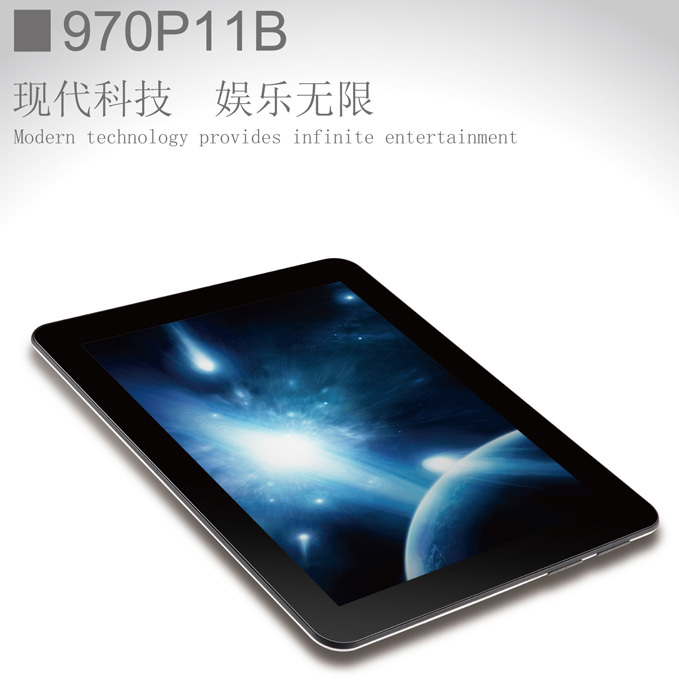 And 9.7-inch(970P11B) is compatible business with entertainment. On the basis of maintaining performance, it is convenient for users to bring it out and becomes a good partner of business trips. We believe that our new products can meet different needs with its fashionable appearance and excellent performance. Our pad will carry on the characteristic of super quality and competitive price, and continue to provide high cost performance products. Pad market is a popular field and at the same time, a competitive battle field but I believe the high quality of our products will bring good market performance. Let’s look forward to the excellent performance of our new products.